Donald Trump, The President of the United States, an introduction is not necessary but we will give it anyway. The man with the funny hair, the orange skin and well.. the poor choice of words. There are numerous memes about him, however, I think that we have found the best one yet! 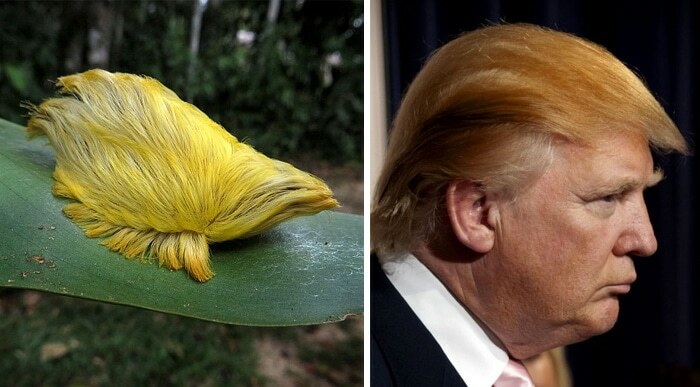 So this animal is a comparison to THE Donald’s hair… but it is his most well-known feature… or most made fun of. The animal is a caterpillar, although I have never seen one that looks like this before that’s is for sure but it does, however, seem to perfectly resemble the President’s hair… which to me personally looks like a toupe but that’ s a whole other debate. 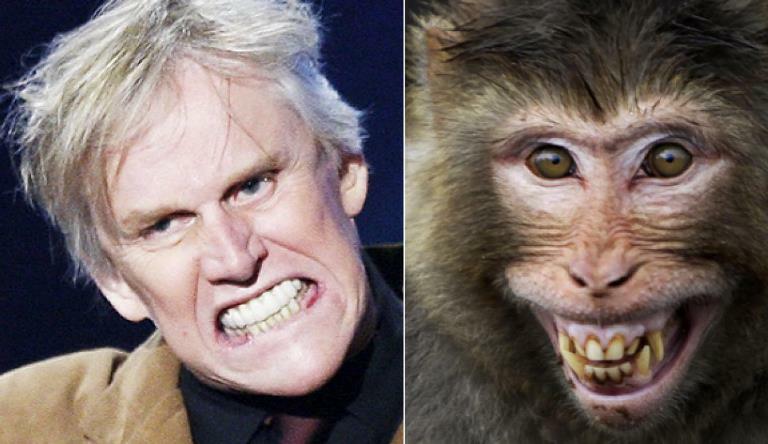 I don’t think words are required here: gary busey, crazy monkey!